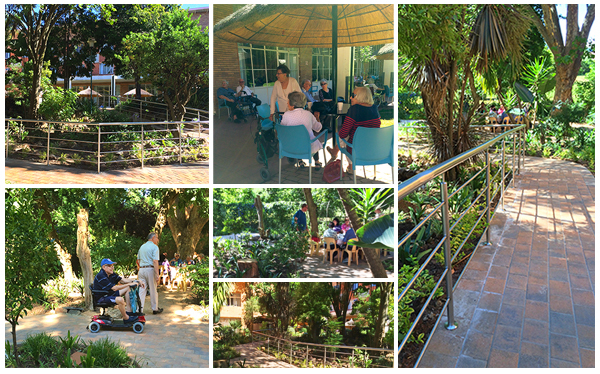 At this pleasant facility, with its magnificent gardens, residents interact socially in a safe, structured environment. They participate in a wide variety of activities that offer them physical and intellectual stimulation and opportunities to enhance their cognitive functioning. The hairdresser, manicurist and podiatrist are well supported and accessible to residents at affordable prices. For those who are well and willing, outings are arranged at least 3 times a month to theatres, movies, the ballet, etc. and in-house arts, crafts, concerts, quizzes, exercise classes, games and bingo are just a few of the pursuits available. Transport is arranged for shopping trips twice weekly and an elegant, recently renovated and refurnished TV lounge offers entertainment in comfort. Guest lecturers visit to talk on a range of subjects and spiritual needs are provided through the Chev’s Group Religious Services department. The beautiful onsite synagogue has a daily attendance. Ageing people often deal with depression due to changed circumstances, declining health and loss. Our team of social workers, doctors and nursing staff offer supportive counselling and treatment. The home has an Assisted Living section for those who are less mobile and a specialized dementia unit, called the Sunshine Circle, where some 40 residents are cared for by skilled nursing staff. In our community of residents, real friendships are formed and people feel genuinely privileged to live there. The atmosphere is one of close cooperation and concern for each person’s wellbeing. The active Resident’s Committee ensures that those confined to their rooms are not forgotten. Amongst many other activities, they arrange monthly birthday celebrations, welcome new residents, and run an extensive library with over 3,000 books and a monthly book-sale of excess donations. Patients at Our Parents Home who are in need of hospitalization are sometimes admitted into the Sandringham Gardens Acute Unit for treatment and care. Many synergies are evident as the two Homes work together to provide holistic care to aged Jewish people. 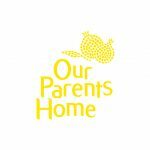 Our Parents Home accommodates around 150 residents. 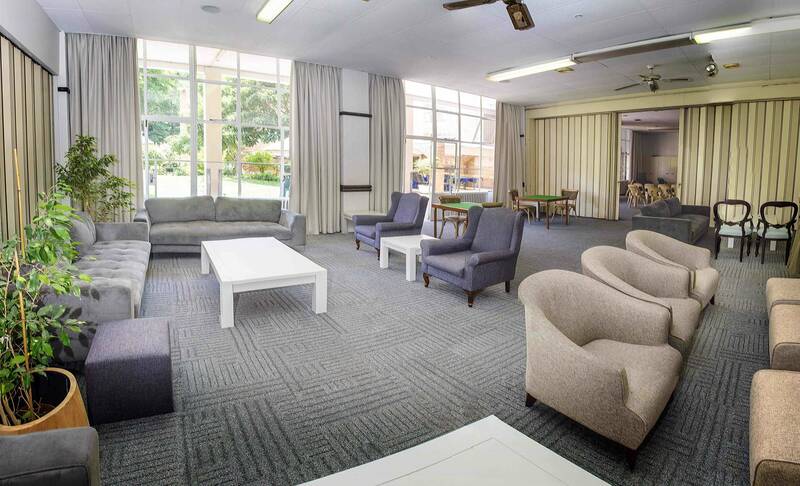 This facility, in Gardens Road, Norwood, is a short drive away from the vast Sandringham Gardens campus where most Chev organizations are situated. Established in 1940, Our Parents Home was initially created to welcome Jewish immigrants fleeing from the terror of the holocaust. That generation of refugee immigrants has passed on and the Home now caters for the local aged community with the vast majority of residents being South Africans. It was not until 2001, soon after the integration of Sandringham Gardens, that Our Parents Home was incorporated into the Chevrah Group. Kirsty Ross chose a facelift to the ground floor of Our Parents Home in memory of her uncle, Harold Hockman who passed away suddenly last year. Harold was the first person to join the Chevrah Kadisha’s World of Work protected employment program in 2002 and it was Kirsty’s way of giving back. "Kirsty's energy and determination was inspiring" said COO Corene Breedt, who worked closely with her to complete the project. "And the results speak for themselves - the residents are delighted!" 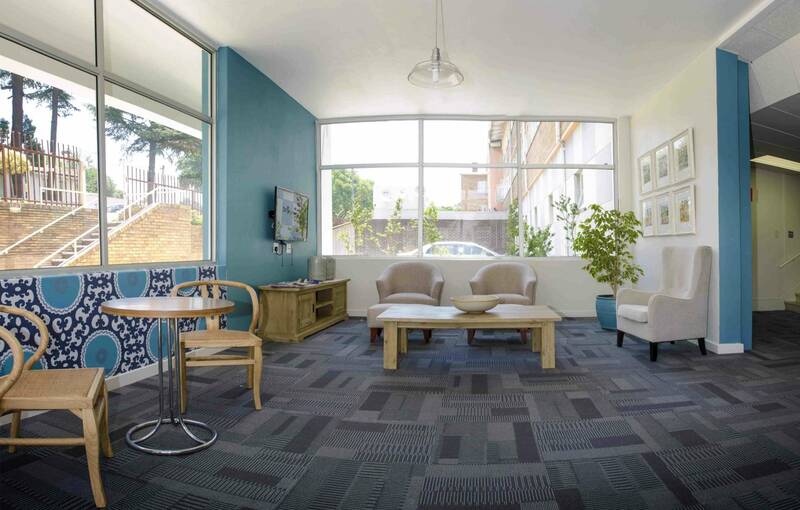 When the dust settled, thanks to these donors and all those vendors who supported this project with their services, the front entrance has been rebuilt, the entire ground floor area re-carpeted and painted and new furniture installed. 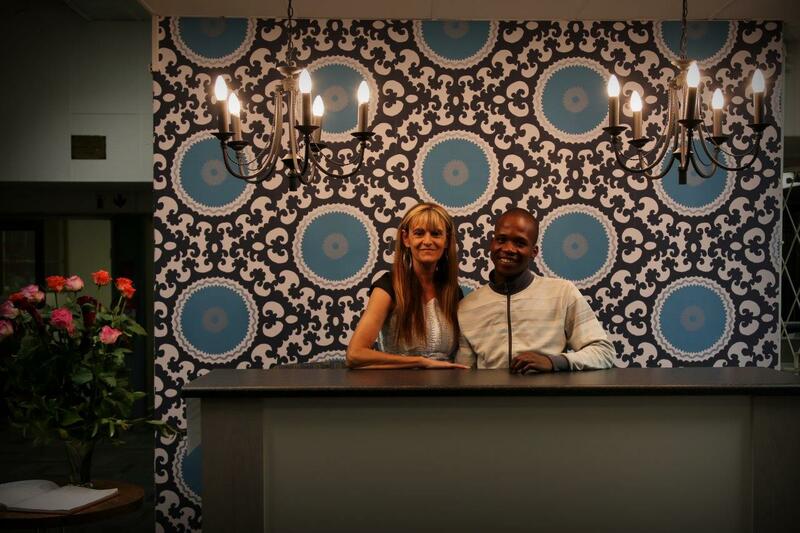 A huge flat screen TV, reception desk, creative lighting, artwork and a state of the art sound system completed the job. There are many more projects available if you want to join the Bati and Barmi challenge! 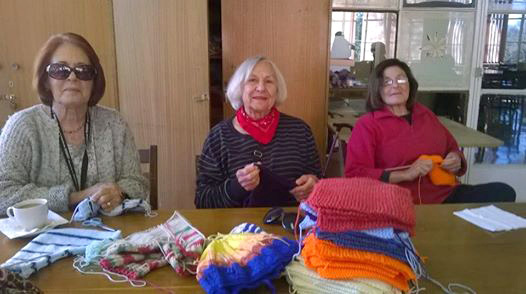 Our residents at Our Parents Home have been very busy knitting squares for The Jewish Report in honor of Mandela Day!